Andrew James is master of the expressive portrait. His use of colour and tone brings an excitemnt and dynamism to his work that makes his portraits take on a life of their own. 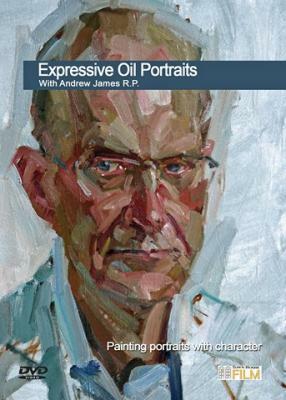 Andrew is Vice President of the Royal Society of Portrait Painters and in this two hour long DVD he paints four oil portrait sketches that really show how his mind works when approaching a portrait - from choice of palette, brushes and canvas to the seeing and thinking process used to capture the very essence of the sitter. In his final demonstration on this DVD Andrew shows just what can be achieved against the clock as she produces a characterful portrait study in just one hour!